Long white sleeveless dress. Closely fitted at the top, then flaring out to an asymmetric hem. 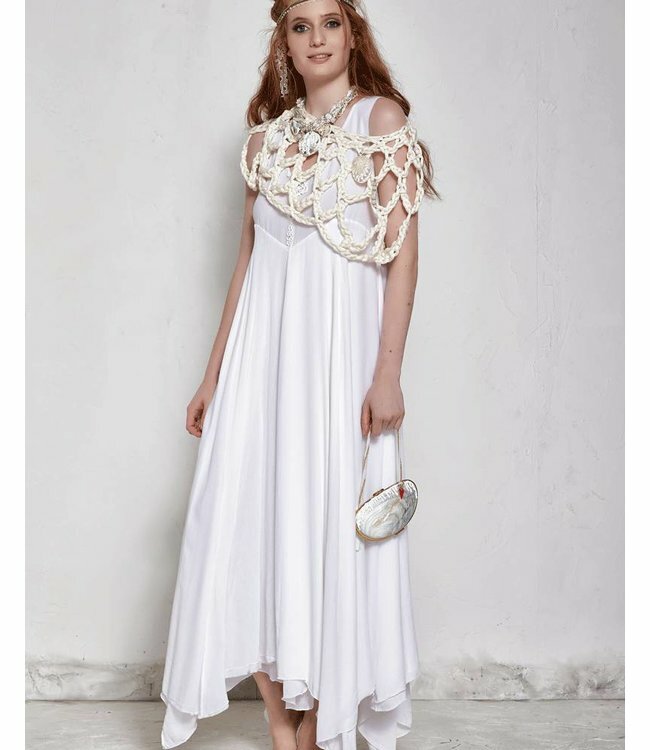 This airy summer dress is decorated with a variety of handcrafted accessories.